In the recent history of philosophy few works have appeared which favorably portray Idealism as a plausible philosophical view of the world. 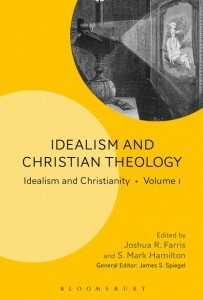 Considerably less has been written about Idealism as a viable framework for doing theology. 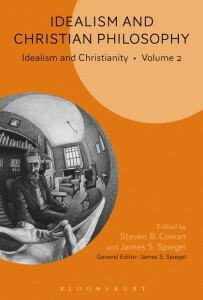 While the most recent and significant works on Idealism, composed by the late John Foster (Case for Idealism and A World for Us: The Case for Phenomenological Idealism), have put this theory back on the philosophical map, no such attempt has been made to re-introduce Idealism to contemporary Christian theology. Idealism and Christian Theology is such a work, retrieving ideas and arguments from its most significant modern exponents (especially George Berkeley and Jonathan Edwards) in order to assess its value for present and future theological construction. As a piece of constructive philosophical-theology itself, this volume considers the explanatory power an Idealist ontology has for contemporary Christian theology. 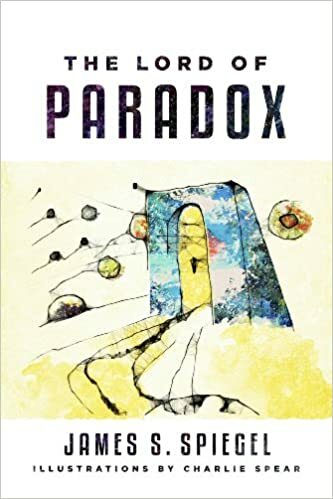 When it comes to contemporary philosophical problems, metaphysical idealism-or Berkeleyan immaterialism-is not taken seriously by most philosophers, not to mention the typical Christian layperson. This state of affairs deserves some attempt at rectification, since Idealism has considerable explanatory power as a metaphysical thesis and provides numerous practical and theoretical benefits. Socrates, Plato, Aristotle . . . great philosophers have a lasting impact. For them, words and ideas are power. They can turn a phrase inside out and flip an argument on its head. They can put a spin on the world. But this power may be used wrongly—and the best response is not to avoid it, but to learn how to use it rightly! In the words of the apostle Paul, “See to it that no one takes you captive through hollow and deceptive philosophy.” Are you ready to match wits? 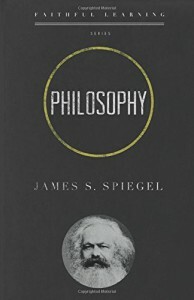 James Spiegel insists that studying philosophy is not only intriguing and mind-opening, but also crucial to following Paul’s counsel. Find out how you can navigate ideas as a philosopher and distinguish between human wisdom and the wisdom of God. The new atheists are on the warpath. They come armed with arguments to show that belief in God is absurd and dangerous. In the name of societal progress, they promote purging the world of all religious practice. And they claim that people of faith are mentally ill. Some of the new atheists openly declare their hatred for the Judeo-Christian God. Christian apologists have been quick to respond to the new atheists’ arguments. But there is another dimension to the issue which begs to be addressed–the root causes of atheism. Where do atheists come from? 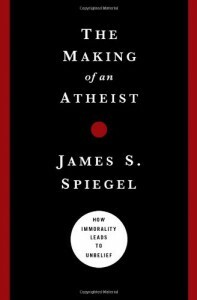 How did such folks as Richard Dawkins, Sam Harris, Daniel Dennett, and Christopher Hitchens become such ardent atheists? If we are to believe them, their flight from faith resulted from a dispassionate review of the evidence. Not enough rational grounds for belief in God, they tell us. But is this the whole story? Could it be that their opposition to religious faith has more to do with passion than reason? What if, in the end, evidence has little to do with how atheists arrive at their anti-faith? That is precisely the claim in this book. Atheism is not at all a consequence of intellectual doubts. 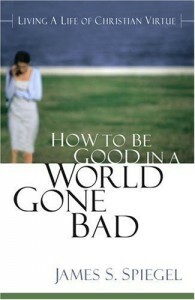 These are mere symptoms of the root cause–moral rebellion. For the atheist, the missing ingredient is not evidence but obedience. The psalmist declares, “The fool says in his heart there is no God” (Ps. 14:1), and in the book of Romans, Paul makes it clear that lack of evidence is not the atheist’s problem. 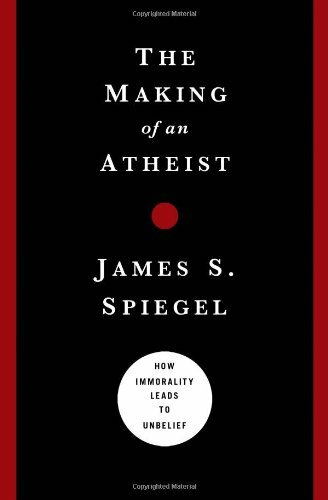 The Making of an Atheist confirms these biblical truths and describes the moral and psychological dynamics involved in the abandonment of faith. 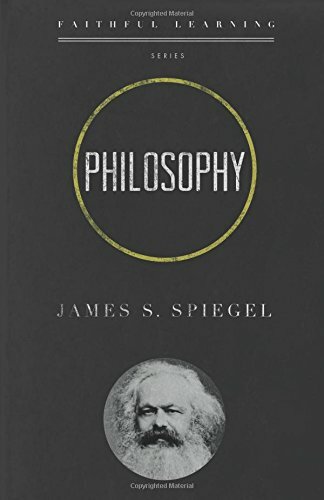 Publisher’s Description: Philosophy is defined as the love of wisdom, and college students will certainly admire this Bible-informed introductory level textbook’s fun approach to an often heady subject. 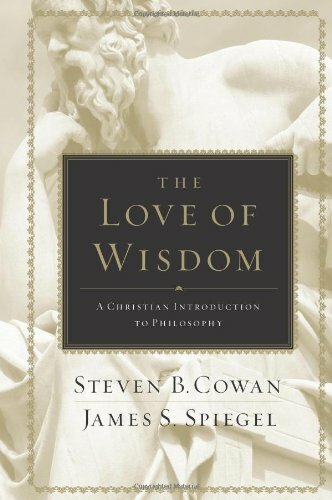 The Love of Wisdom is distinct in its engaging style that includes humor and copious popular culture illustrations to heighten reader interest and clarify important concepts. The book even addresses two key topics often omitted by other texts: political philosophy and aesthetics (philosophy of beauty and the arts). Students and teachers can also make great use of the study questions for each chapter, a glossary of terms, and further reading suggestions. Click here to download free sample chapter and PowerPoint lecture aids. 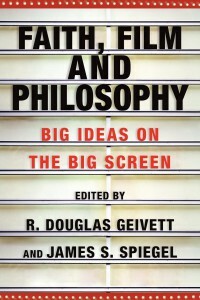 Faith, Film, and Philosophy: Big Ideas on the Big Screen is a book that applies Christian philosophical analysis to cinema. 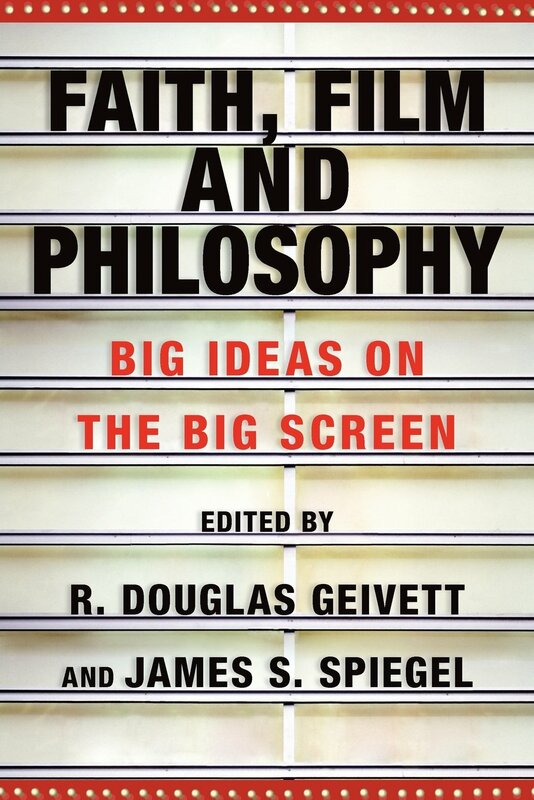 Featuring over a dozen essays treating diverse issues in recent and classic films, this volume addresses a domain of popular culture that, until now, has been unexplored by Christian philosophers. The content is philosophically rich but non-technical and will appeal to a broad audience of readers. Chapter themes vary widely but are all directly relevant to Christian philosophy. Likewise, the book represents a broad range of film genres (e.g., domestic, foreign, documentary, drama, horror, etc.). The roster of contributing authors is formidable, each bringing to the project a unique ability to generate original insights in a creative and winsome way. Each author applies a Christian perspective to his or her topic, but the roster reflects the diversity within the historic Christian tradition in such matters as political orientation and doctrinal persuasion. Contributing authors: Douglas Blount, Kelly James Clark, Winfried Corduan, Gregory E. Ganssle, R. Douglas Geivett, Greg Jesson, David Hunt, James F. Sennett, Sara L. H. Shady, Caroline J. Simon, James S. Spiegel, Brendan Sweetman, Ron Tacelli, Dallas Willard. 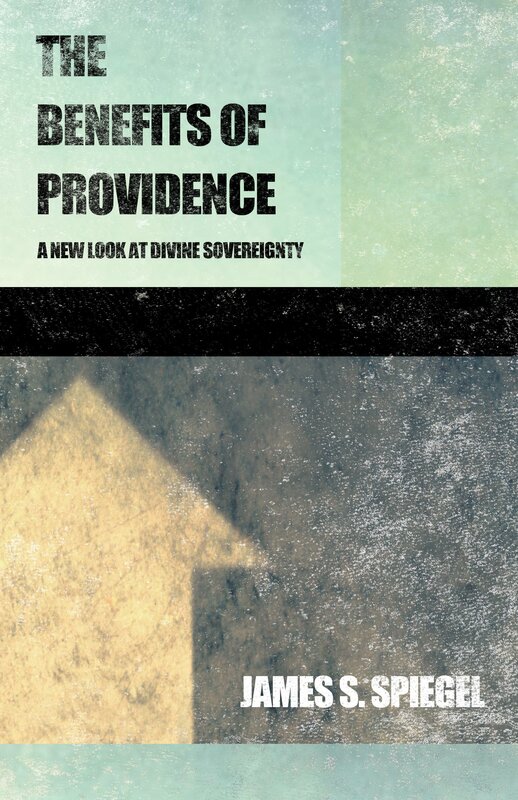 In this book Spiegel applies the high view of providence to theological matters such as divine conservation of the world, miracles, and divine emotion. He discusses implications of the high view pertaining to the practice of science, the problem of evil, and moral formation. 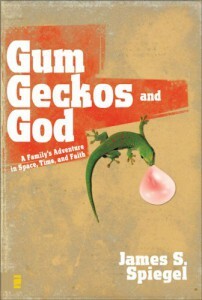 The guiding theme of the book is the concept of God as a divine artist and the world as his art work. 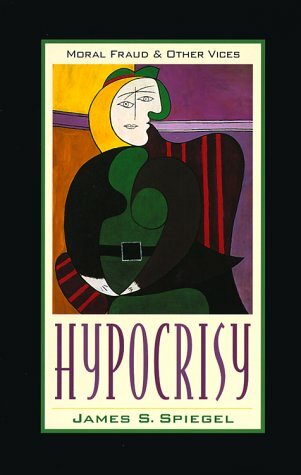 Publisher’s comments: Spiegel deftly analyzes the concept and content of hypocrisy, then moves to a discussion of its morality and its relation to moral weakness and sanctification. In his closing chapter he takes up the charge of the church’s hypocrisy and whether it poses a sufficient reason for rejection of Christian truth, as critics maintain.